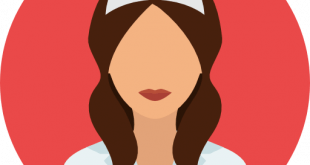 The PGIMER B.Sc Nursing 2019 is a state level entrance test of Chandigarh. 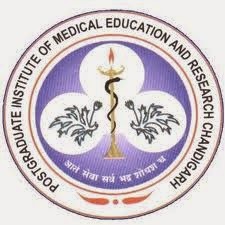 PGIMER stands for Postgraduate Institute of Medical Education and Research. Closing date of online registration form In the month of July 2019. End date to generate challan form In the month of July 2019. Date of declaration of result In the month of August 2019. Commencement of counselling In the month of August 2019. The application forms for PGIMER B.Sc Nursing Exam 2019 will be released in the month of June 2019. Registration forms can be filled through online mode. The application process will continue till July 2019. Or click on the link given alongside pgimer.edu.in. Now click on the link ‘Apply Online’. You are required to enter the necessary details in the application form. Pay the application fee and you are done. Mode of Payment Challan mode. The application fees can be paid in any branch of SBI. Application fees for General category Rs. 1,000/-. Application fees for SC or ST category Rs. 800/-. Application fees for PWD Not required to pay the application fees. They are exempted to pay the application fees. * Important concepts of chemistry. * Chemical reactions and bonding. * D and F Block compounds. * Important concepts in compounds. * Dual nature of matter. * Origin and evolution of life. * Reproduction in plants and animals. * Mendel’s law of inheritance. * Cell structure and function. * Five kingdoms of classification. The PGIMER B.Sc Nursing Exam 2019 Results will be declared in the month of August 2019. The result will be put on view on the notice board of Bhargava Auditorium. The candidate may also check their result on the National Institute of Nursing Education of PGIMER. A merit list will result. To qualify the exam candidate must score minimum 50% of the total for the general. For ST-SC & PWD it is 45% of the total. The qualified candidates must attend the counselling session. The candidates will be allotted seats in counselling round. The counselling round will be held in the month of August. The candidates are suggested to carry all their documents in the counselling round.